Having the best professional removalists to help you with your business relocation journey will make your life a lot easier. Moving is already hard and stressful. But with the help of professionals, you don’t have to worry about the safety of your possessions. Choosing the best ones that you know you can count on is essential. This is to make sure that everything goes smoothly as the transfer takes place. However, before hiring the best removalists company of your choice, there are things you ought to know. You should best consider them before making any decision. Search either online or locally in your neighbourhood. Do some evaluation and review. And for you to do that, make sure to consider these common things you need to check about a good removals company. A removalists company that is known for its reliable, trustworthy and efficient removal service is indeed a good choice. Their team has already satisfied several clients which they earned their good name. Thus, one way to know its reputation is through their website. Get full details of their services. Hence, be reminded that not all comments and review posted on their website are reliable. So be wise in evaluating feedbacks. If it’s near your area, try to go and check it yourself. Ask for a recommendation and take some time to do the research. Some removalist company would just hire casual labour whenever required. Such staff is not trained to manage relocation and removal service. Likewise, they are unaware of how to take good care of your things. And chances are that you might end up damaging your stuff due to improper handling. Therefore, make sure to hire a good team of removalists that has a well-trained staff that will handle your move efficiently and in a speedy manner. Also, evaluate the staff of the moving company first if they are professional enough to handle relocation. Check their profile if possible. After all, it’s better to be sure than sorry, eh? This might be a very curial factor but it is one good quality that you need to look for when looking for a professional help. For some instance, a good service provider often offers a competitive price depending on the service that you want. Note that not all company that offer lower price are good. You must also check the quality of work they do. These two factors need to go along together. So, before hiring one, make sure to ask a written quote to check if the price is reasonable enough. A good removalists company always offer a high level of quality service in every job they do. So, better look for the one that is trustworthy in dealing with your needs and concern. They will enter into a contract with clients clearly specifying the terms and conditions of the service they will offer. As a matter of fact, they even offer insurance cover for all your belongings during the transfer. And could give you recommendations whenever you are in need of storage facilities as you plan for the move. Lastly, a good moving company should have a very responsive and courteous staff. They should be happy to help and answer your inquiries with professionalism. And at the same time prioritising your comfort, exceeding your expectation and guide you through the removal process. This quality will give you the confidence that you are on the right track as you’ve been accommodated and given priority. But before everything else, it is important to check and assess first the precautionary measures that you need to consider. And with above key qualities, you will be guided in choosing the good removalist company of your need. 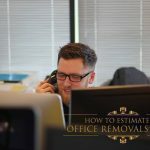 Looking for an office removalist company? You’re on the right track! As Business Relocation Services is here to help you out. Call us today and discover the different variety of move and removal services we are offering only for you. There’s a lot more! You can also check our blog section for more useful insights and update about move and removal services. 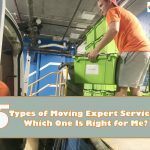 And if you are more particular about looking for a moving expert, then this article Types of Moving Expert Services: Which One Is Right for Me? Will help you decide which moving service fits your needs.